Rare horror, odd teen dramas, dark comedies, absurd action and more! 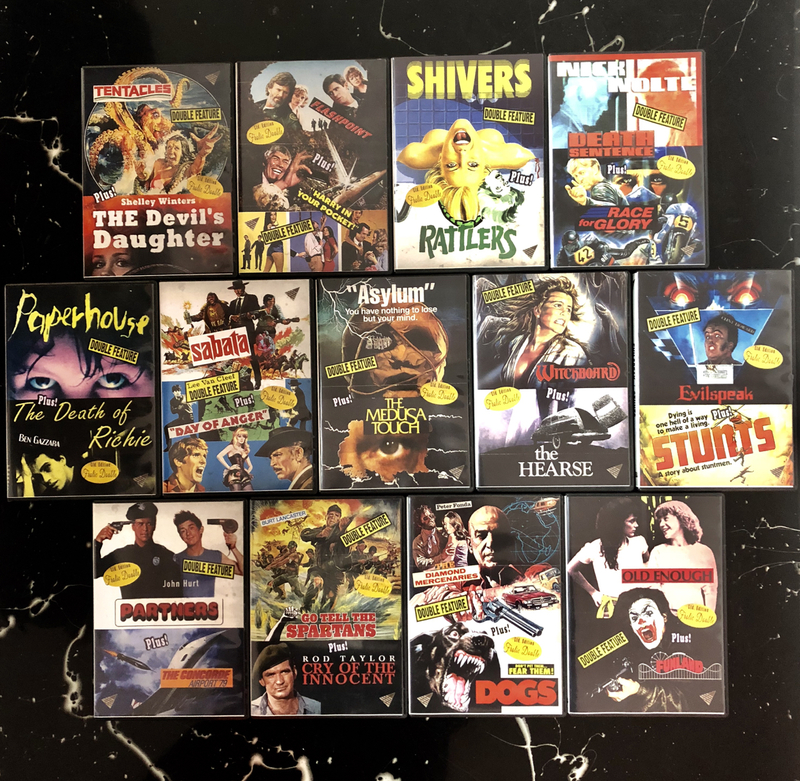 The next wave of Frolic Pictures' new limited edition grindhouse series double feature DVDs are now available online, wherever DVDs are sold (Amazon, Barnes & Noble, Best Buy, etc.) Hand-selected by Hollywood exploitation filmmaker Jared Masters. A sordid combination of old school horror, vintage black comedies and juicy exploitation fare. Each DVD is a one-of-a-kind experience, like going to a drive-in back in the day, except in the comfort of your own home. In Tentacles (1977), a mutated giant octopus wreaks havoc on a California seaside community. In The Devil's Daughter (1973), a young girl whose mother had sold her soul to Satan when she was born is told by Satan that she must marry a fellow demon. In Partners (1982), a straight police detective is unnerved when ordered to go undercover with a gay police clerk, as a couple, to solve a series of murders in the gay community. In The Concorde... Airport '79 (1979), pilots do whatever they have to to combat the attacks on their plane. In Death Sentence (1974), a juror on a murder case begins to believe that the man on trial is innocent of the crime - and then discovers that the real killer is her own husband. In Race for Glory (1989), a member of an up and coming motorcycle racing team abandons his teamates to join a rival team. Collect them all! Only from Frolic Pictures! Visit: https://frolicpictures.com/grindhouse-series/ for more info!